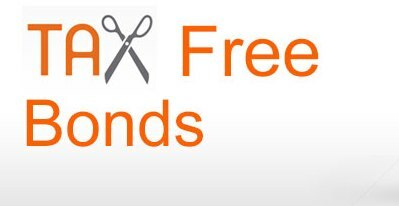 Many of you’ll had sent me an email asking me about the allotment status of the tax free bonds you had applied for. For the benefit of all I am writing this blog post. How to check the application status of your tax free bonds? Step 3: Fill in the required details like – your name, application number, DP id, etc. And you are done! Result of allotment will be displayed. I have applied for 270 NHAI bonds through SBI CAPS on 14.03.18 and my account was debited with the amount there after. My application number is 31838024. I haven’t received any confirmation till now. Will you please let me know the status. Applied for 238 bonds on 24 Nov 2017 application no. 21836333 but bonds not yet received.pl send the bonds. I am applied for nahi tax free in March 2018. Till date not received yet.Your Dehradun phone no is incorrect in web site ,please correct it. I have applied for 300 NHAI bonds on 21 June 2018 through hdfc bank and my account was debited with the amount for the same thereafter.My PAN no. is ABAPK2164L. I haven’t yet received my bonds.Can you please me with allotment status of my bonds? I have applied for 300 NHAI bond on 27 July 2018 through canara bank and my account was debited with the amount for the same. and my application 24960993 or my phone number 9998461440 /9848197013. I haven’t yet received my bonds. Can you please me with allotment status of my bonds? I have applied 140 NHAI bonds through application no-1031965 & application was submitted on 6th August 2018 & the same application was received by HDFC bank LTD.Hansha Bhawan, the bond was not received till today. Kindly look into the matter & instruct to man concerned to issue me bonds as soon as possible. I have applied for 250 NHAI bonds through Canara Bank Bangalore on 14.03.18 and my account was debited with the amount there after. My PAN number AAN PL 4036G. I HAVE APPLIED FOR 30 BONDS OF NHAI THROUGH UNION BANK PALLAVPURAM MEERUT ON 15TH OCTOBER 2018 &MY ACCOUNT WAS DEBITED ON 17TH OCTOBER 2018 . I WANT CONFIRM MY ALLOTMENT STATUS.MY PAN NUMBER IS KEBPS3917F. & MOBILE NUMBER 94121O9377. I HAVE APPLIED FOR 30NHAI BONDS ON 15TH OCTOBER 2018 THROUGH UNION BANK PALLAVPURAM MEERUT. MY ACCOUNT WAS DEBITED ON 17TH OCTOBER 2018BY CHEQUE NUMBER 33 OF RUPEES 3LAKH OF PUNJAB &SIND BANK PALLAVPURAM MEERUT. I AM STILL WAITING FOR MY ALLOTMENT STATUS. MY PAN NUMBER IS KEBPS3917F & MOBILE NUMBER 9412109377. KINDLY HELP. Applied for REC 80 bonds through HDFC Bank Bangalore on 23rd January 2019 not yet get any information. PL. advice.